This year, Raheen Hall, an 11-year-old placed third for Boys and seventh overall. He inevitably topped his school’s list and was one of three persons to score the top grade nationally in Math. His 97% in that subject was exceptional. He wants to be a Scientist. His advice to students is “study hard and keep on the right track.” He thanked his teachers and singled out his mother Mobeth James, a teacher at the Lodge Village Government School for praise. His father is Alexis James. 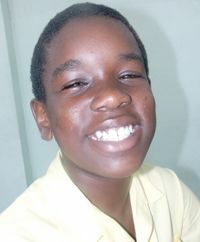 In typical Caribbean fashion, Raheem is a cricket fan and his favourite cricketer is Sir Garfield Sobers. “He was the best batsman before Lara came in,” Raheem said.